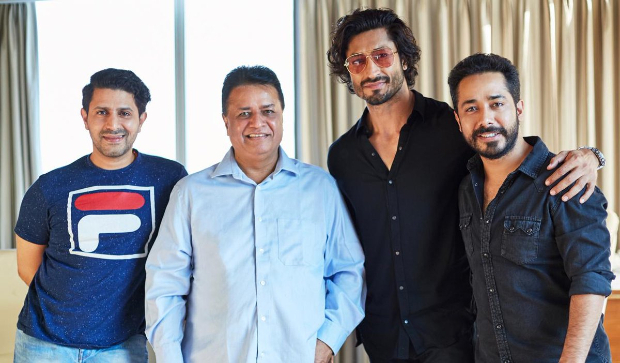 Vidyut Jammwal has been signed for Kumar Mangat Pathak and Abhishek Pathak’s romantic action thriller titled Khuda Hafiz. The film will be directed by Faruk Kabir who directed the critically acclaimed Naseeruddin Shah -Sharman Joshi film Allah Ke Bandey. The film based on true incidents will be shot in Morocco and Kerala and the shooting is all set to commence in July. The makers have also got on board an international action team to choreograph the action of the film. While Vidyut will be seen playing the lead, the casting of the female lead is underway. The film is scheduled to release in early 2020. Panorama Studios currently has three films in production which are, the John Abraham, Anil Kapoor, Ileana D Cruz, Arshad Warsi, Kriti Kharbanda, Pulkit Samrat, Urvashi Rautela starrer Pagalpanti directed by Anees Bazmee, Section 375, a courtroom drama starring Akshaye Khanna, Richa Chadha, Meera Chopra and Rahul Bhat and the Punjabi remake of Singham featuring Parmish Verma and Sonam Bajwa. A Panorama Studios Production, Produced by Kumar Mangat Pathak and Abhishek Pathak, co-produced by Aditya Chowksey and Sanjeev Joshi, Directed by Faruk Kabir, Khuda Hafiz releases early 2020.